Contact us today and invite us to help you find the window film that’s right for your space in Roscommon, Michigan. All Season Window Tinting has been window tinting Roscommon, Michigan since 1985 with high quality window films from Vista and Llumar that can improve the looks, comfort, energy efficiency and security of your home or commercial space. Check out the details for the films we offer below and see all the ways they can improve your space in Petoskey. If you have any additional questions about All Season Window Tinting and the window tinting services we offer in Roscommon, Michigan and the surrounding areas, please contact us today by calling our offices at 800-874-8468 or filling out this form. We would be happy to answer all of your questions about your particular application. 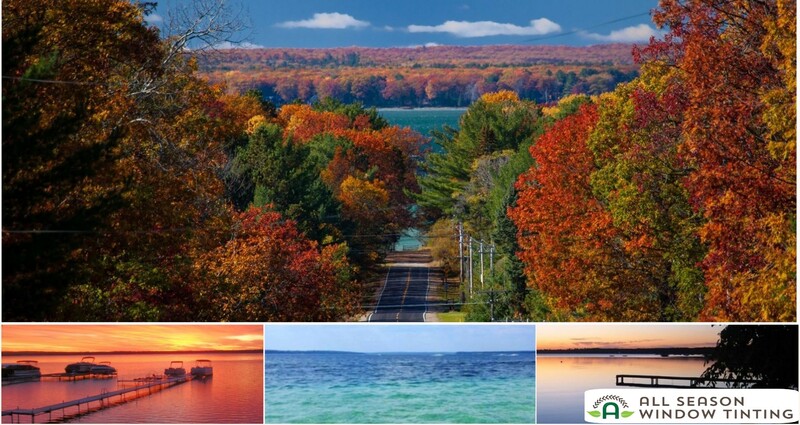 Open your window treatments and enhance your Roscommon, Michigan view with home window tinting! You can be comfortable knowing that your windows are treated with a protective barrier which filters 99.9% UV rays and significantly reduces solar heat gain and excessive glare. Enjoy the comfort of Llumar and Vista home window tinting films and you will start earning a valuable return on your investment. Protect interiors with 99.9% UV filtration. Save energy and add comfort with up to 78% heat reduction. Reduce glare by as much as 93%. Open your blinds and shades and enjoy an enhanced view. 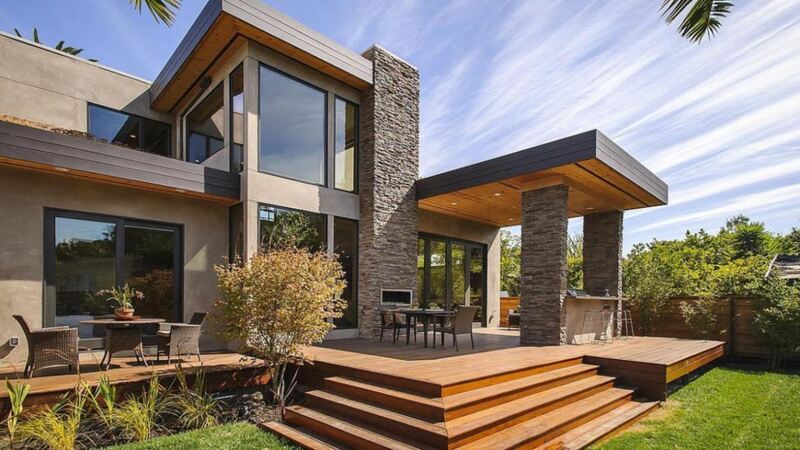 Enhance the interior and exterior feel and appearance of your home. Our experienced residential sales team can provide you with all of the information and guidance you will need to choose a film to meet your specific objectives. Every customer is given the attention and guidance necessary to help you make choices that offer the rewards important to you. We offer free in home consultations throughout Roscommon and the surrounding communities. As a Roscommon, Michigan area business owner, you allocate valuable resources to make your retail and office atmospheres comfortable and enjoyable for patrons and employees. Commercial window film can help! 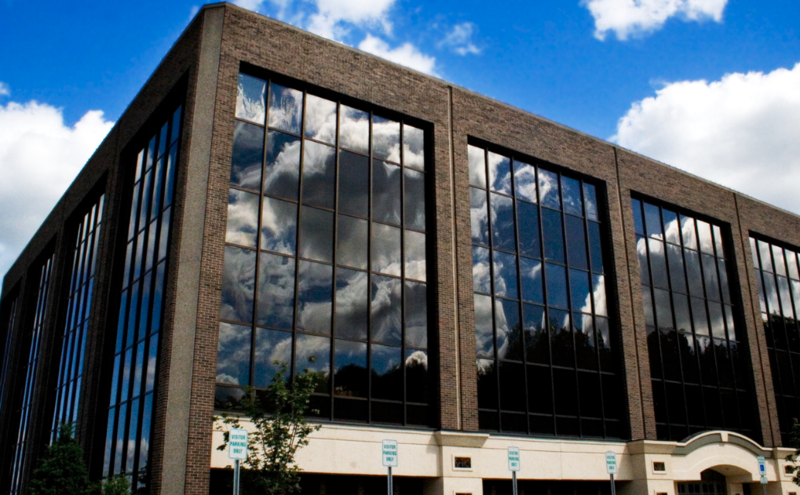 Llumar & Vista window tinting films can help accomplish these goals, while saving your business money and protecting investments you’ve made inside your building. Protect retail storefronts from fading with 99.9% UV filtration. Enhance glazing efficiency with improved SHGC & U-Value. Reduce glare in offices, waiting rooms, lobbies and dining areas by as much as 93%. Enhance interior & exterior aesthetics with a consistent, uniform appearance. Our experienced commercial window film sales team can provide you with all of the information and guidance you will need to choose a film to meet your specific objectives. Every customer is given the attention and guidance necessary to help you make choices that offer the rewards important to you and your organization. We offer free on site window film consultations and assessments in Roscommon, Michigan and the surrounding areas. These can include an energy analysis where applicable to provide a time table for a return on your window film investment specific to the Roscommon market. Customize the glass in your Roscommon home or commercial and share your creativity and style with everyone around you. Decorative window films can be a true reflection of your personality. Whether its for your home or business, decorative film can accent any room with a window. It can also be highly effective at providing privacy, while letting light transmit through glass. We have hundreds of options in opaque and translucent colors, patterns and designs. This means that decorative window film is a unique and versatile window film suitable for many uses which meet a wide range of objectives. Suitable for conference rooms, interior office windows and doors, health care facilities, exercise areas, changing rooms, lavatories and much more. The possibilities are virtually endless! We offer a comprehensive variety including hundreds of decorative window films. These options include whiteout, white frost, colored frost, black matte, unique patterned designs and everything in between. 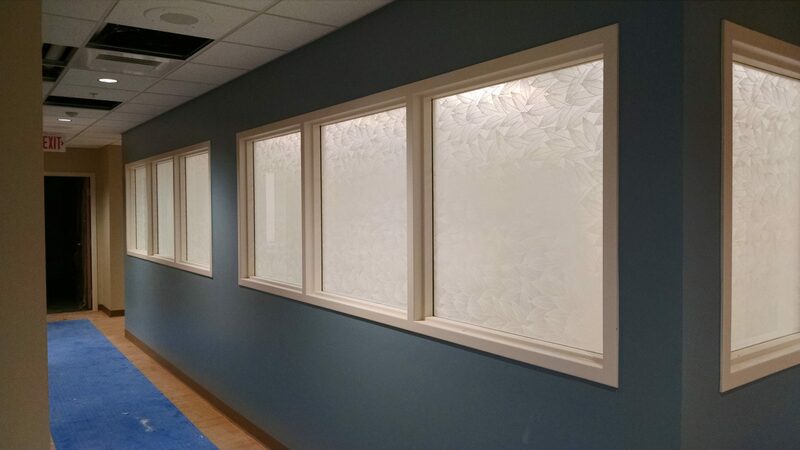 We stock over 20 different options of frosted and patterned decorative window film, while we have seemingly endless choices from our custom order list. We even have gradient window film options that fade from frost to clear in multiple fade patterns and colors! Call us today to schedule an onsite consultation where we can show you how we can transform your space in Roscommon with Decorative Window Film. Is your home, office or commercial space in Roscommon safe and secure? We can help in this area with our line of safety and security window films. Llumar Magnum Safety and Security Films can help to protect you and your family. Whether it is protection against vandalism, storm damage, or minimizing risk of a household accident, Security Film helps reduce personal injury and property loss. 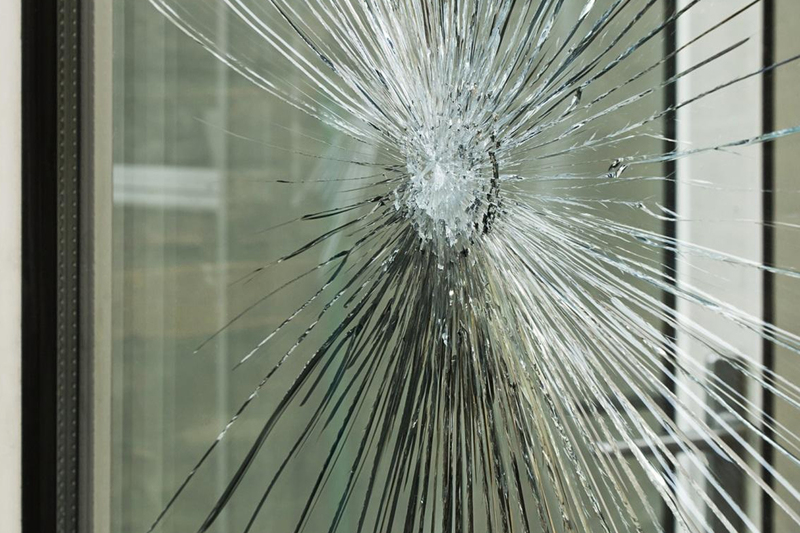 Even our standard window films will help hold shattered glass in place. Security Film is thicker (.004 millimeters to .015 millimeters) than standard window film and provides a distortion free, clear view without cloudiness or yellowish hues. Llumar is available in combination films that provide the energy control properties of standard window film with the added protection of security film. Meet international building code requirements for safety glazing. Meet GSA and Department of Defense requirements for bomb blast mitigation. Protect against theft and vandalism. Prevent physical damage to property. Protect interiors against storm damage. Protect valuable surfaces against graffiti and scratching. If you are interested in learning more about how we can retrofit the glass in your Roscommon space to be both safer and more secure, contact All Season Window Tinting today. Contact us today and invite us to help you find the film that’s right for you. All Season Window Tinting has been window tinting Roscommon, Michigan since 1985 with high quality films from Vista and Llumar that can improve the looks, comfort, energy efficiency and security of your home or commercial space. Check out the details for the films we offer below and see all the ways they can improve your space in Roscommon. If you have any additional questions about All Season Window Tinting and the window tinting services we offer in Roscommon and the surrounding areas, please contact us today by calling our offices at 800-874-8468 or filling out the form below. We would be happy to answer all of your questions about your particular application.